You are here: Home > Search for "Roboworm"
4" long, 6 pack Roboworm 4.5" fat straight tail worm with salt release system, 8 pack Roboworm 4" Alive Shad worm with salt release system, 8 pack. Roboworm CL 5.5" curly Tail Worm, 8 pack Roboworm CR 4.5" Curly Tail worm, 10 pack. Roboworm 6" fat straight tail worm with salt release system, 8 pack. 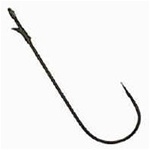 Roboworm 7" straight tail worm with salt release system, 8 pack. Roboworm SN 4" 8pk. Sculpin worms. Roboworm 4" Body Shad worm with salt release system, 10 pack.